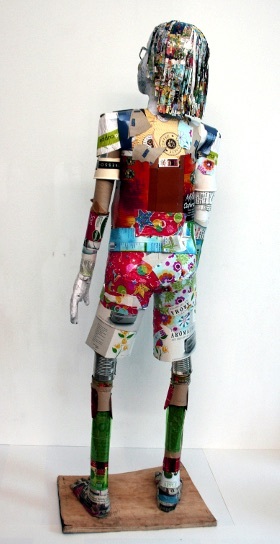 Recycled sculpture of a ten-year old girl. This life-size portrait sculpture is made from scrap wood and household waste collected by Oriana’s family, who live close to Michelle’s studio in Walthamstow. 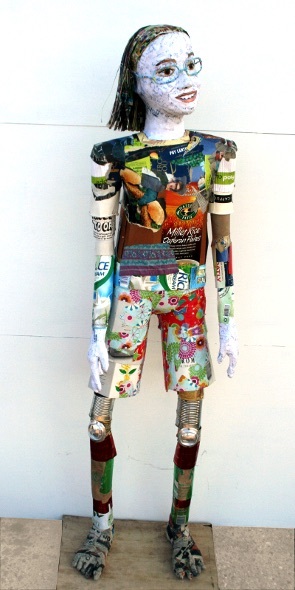 Materials include Beano magazines, tin cans and wrapping paper. Dimensions: 149 x 48.5 x 40.5cm.